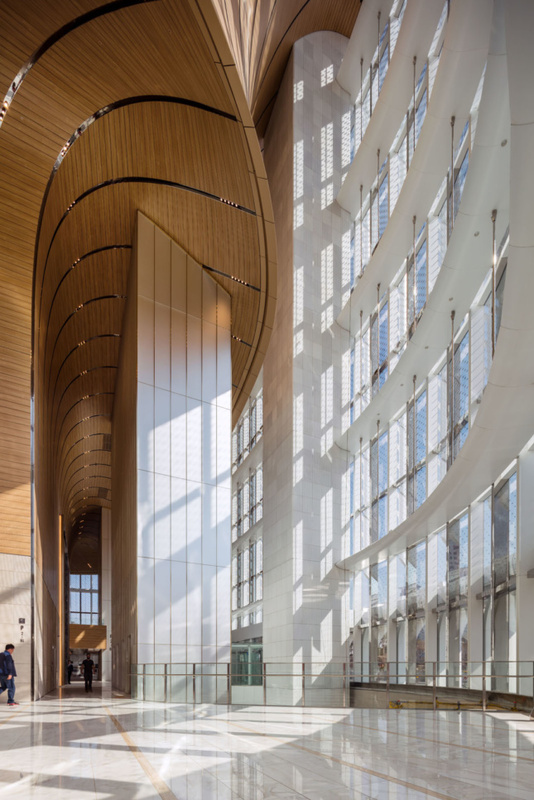 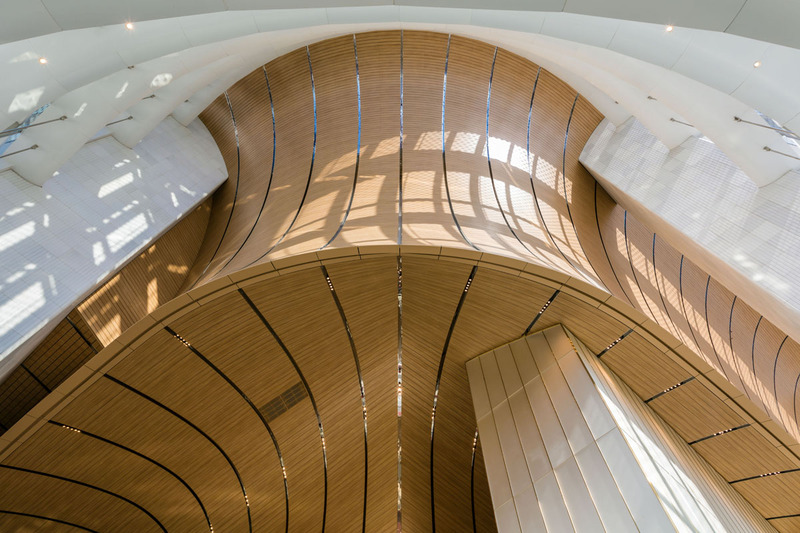 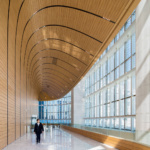 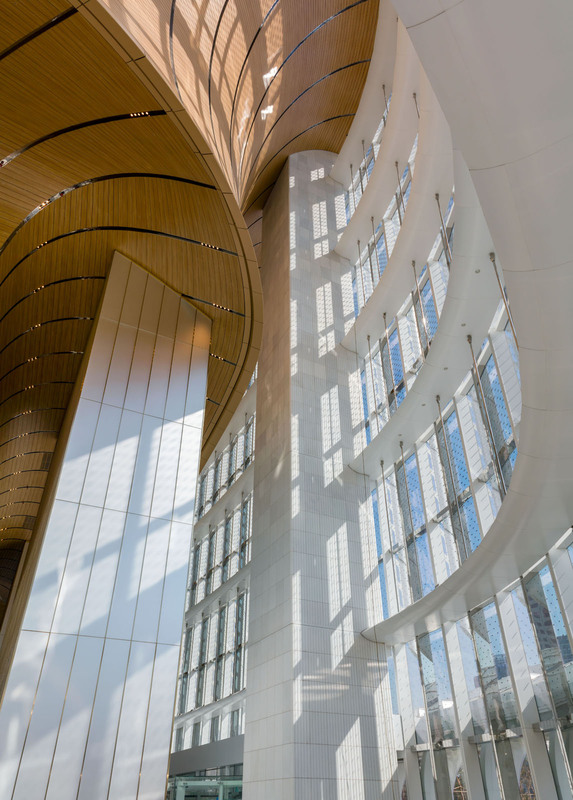 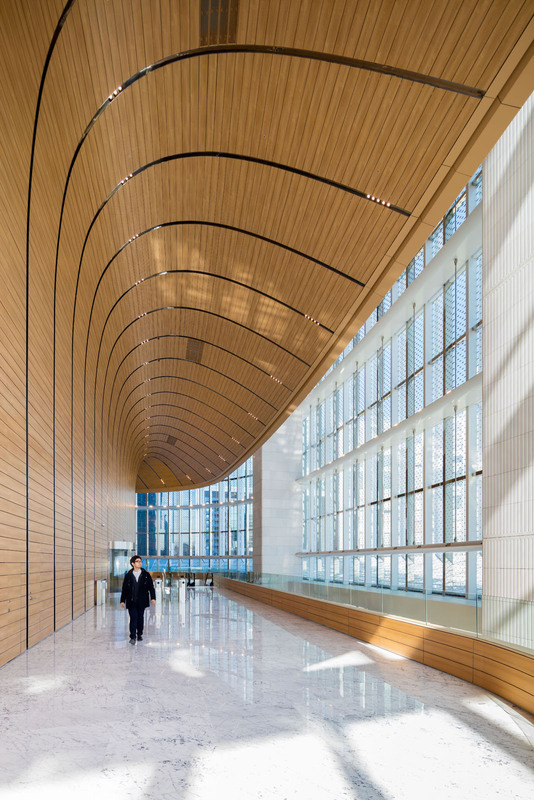 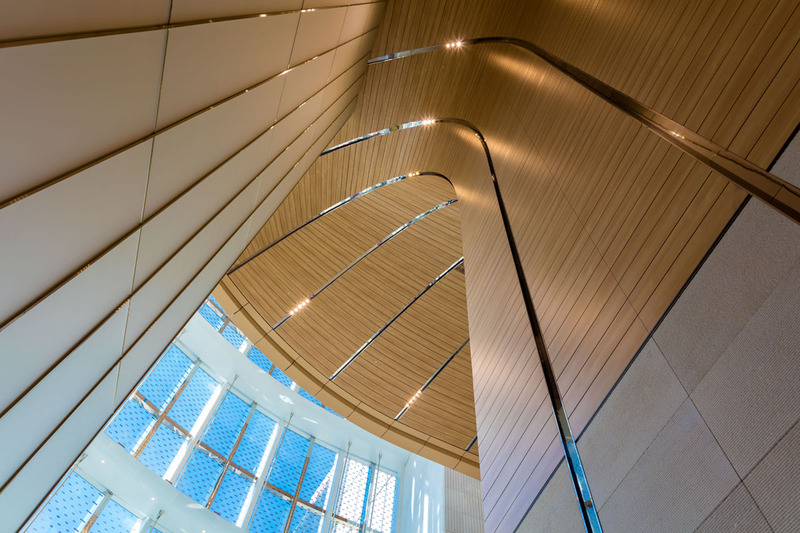 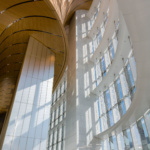 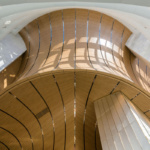 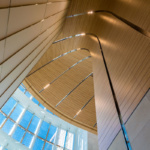 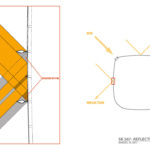 At the base, a 100-foot-tall lobby utilizes a gradient of mirrored frits on the glazing to provide shading while accommodating views at ground level; at the top of the tower, frits were used to highlight the diagrid of the belt trusses. 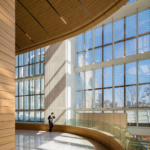 The residences utilize laminated safety glass on the inner lite with heat-strengthened glass on the outer lite, while the hotel and office sections use heat-strengthened glass for both. 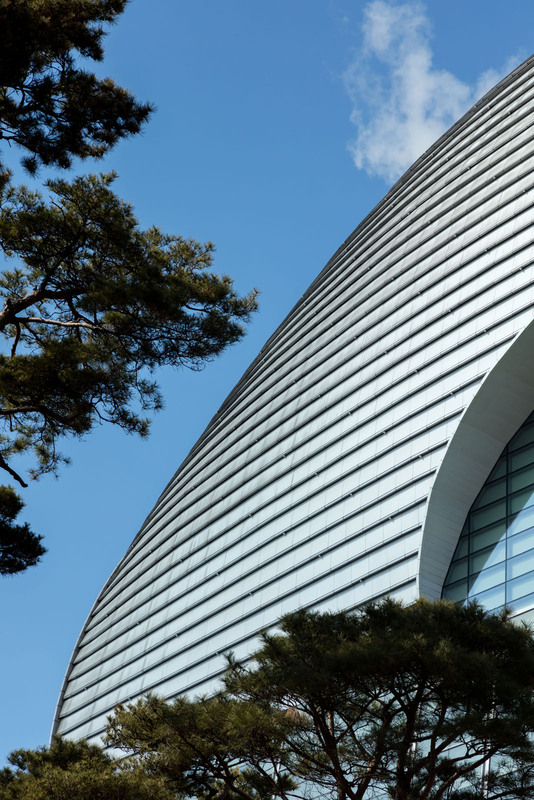 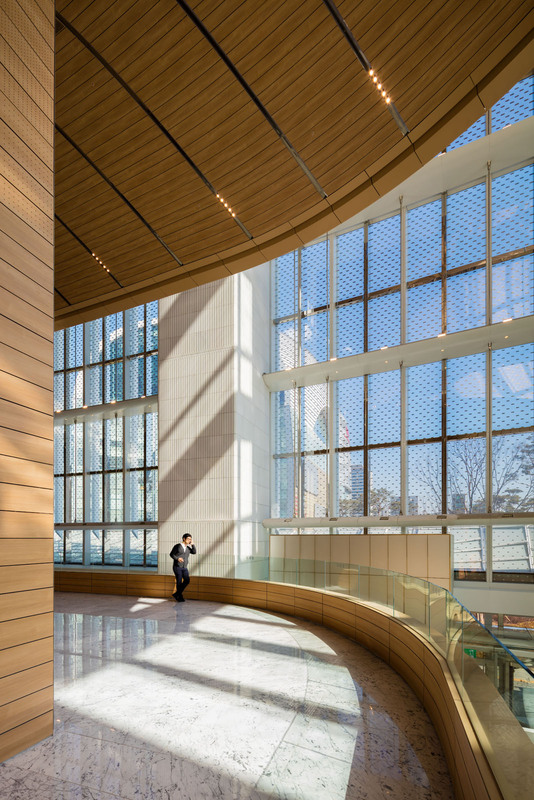 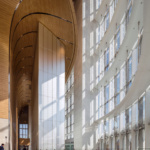 To keep the building from looking like a “giant patchwork quilt,” Nemeth said, the KPF team ensured that the outer lite is always the same thickness, with the reflective coating on the number-two surface. 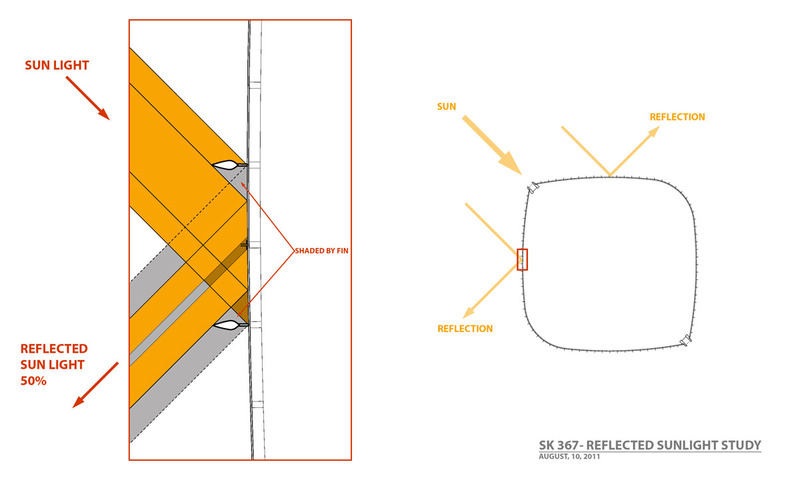 “Then, whatever you do on your inner lite is much less visible to the outside, because it’s inside the reflective coating,” he explained. 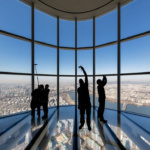 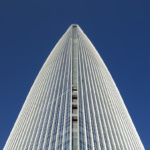 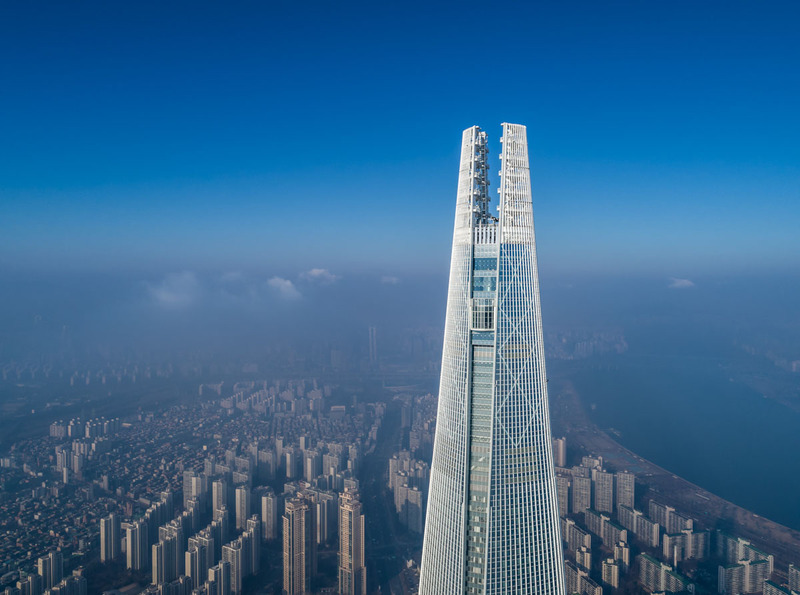 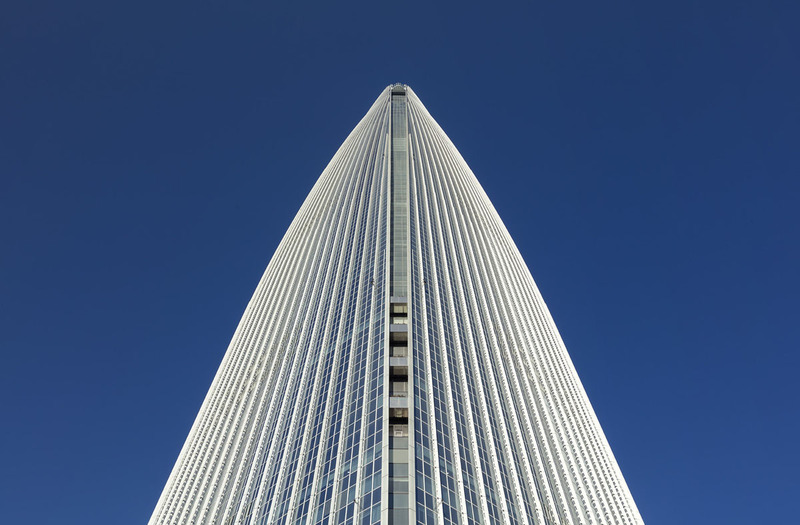 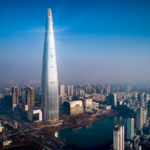 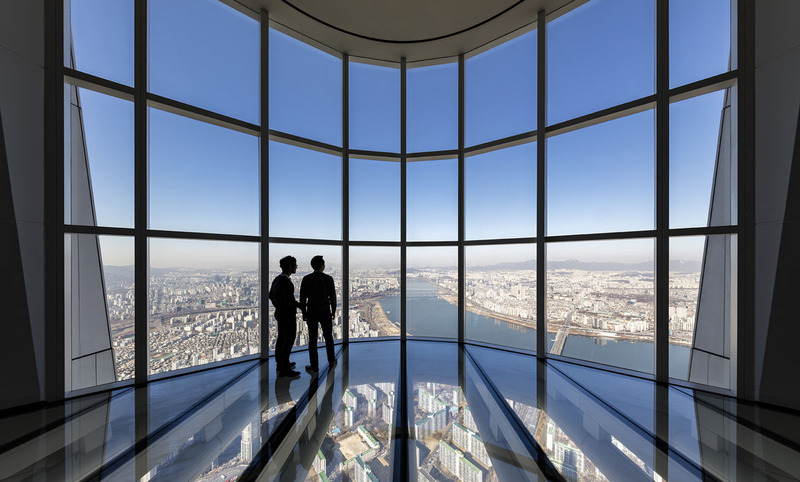 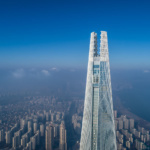 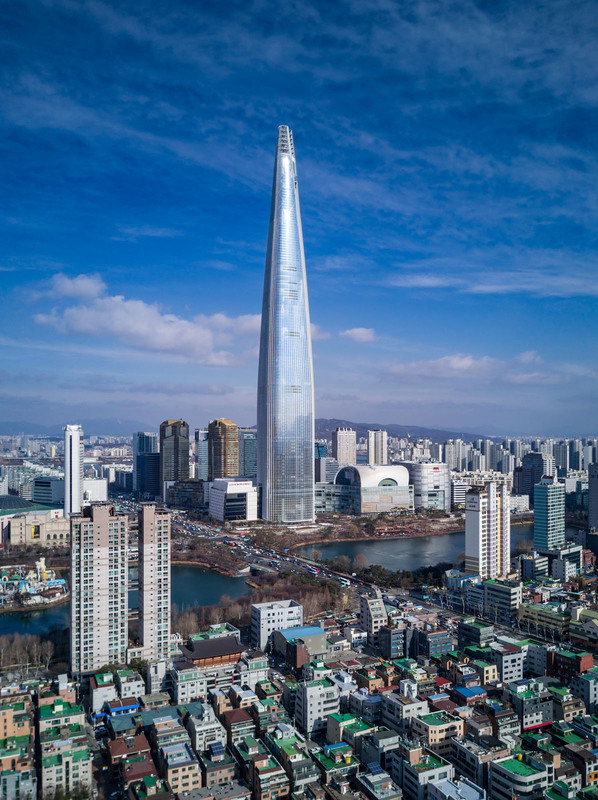 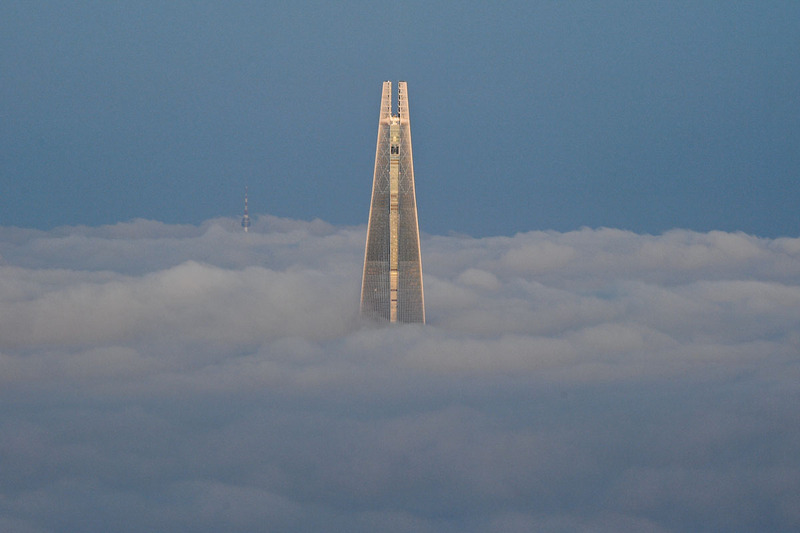 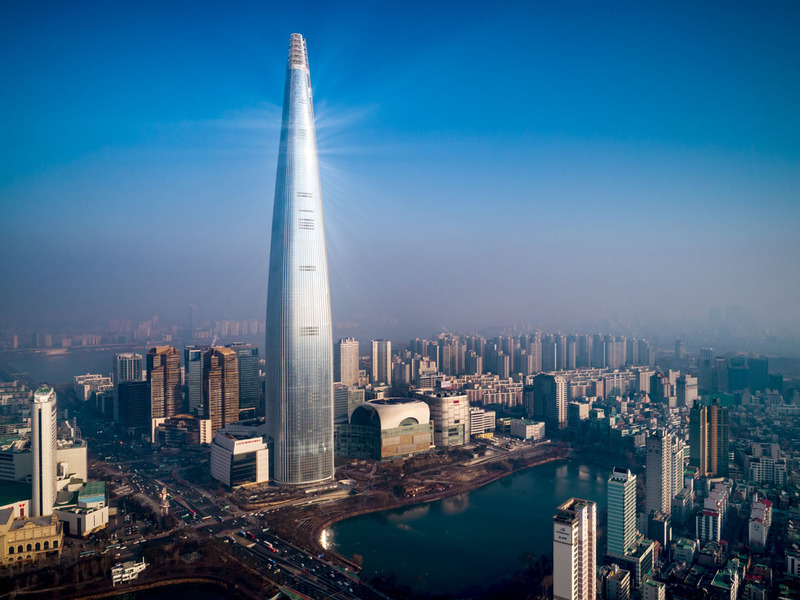 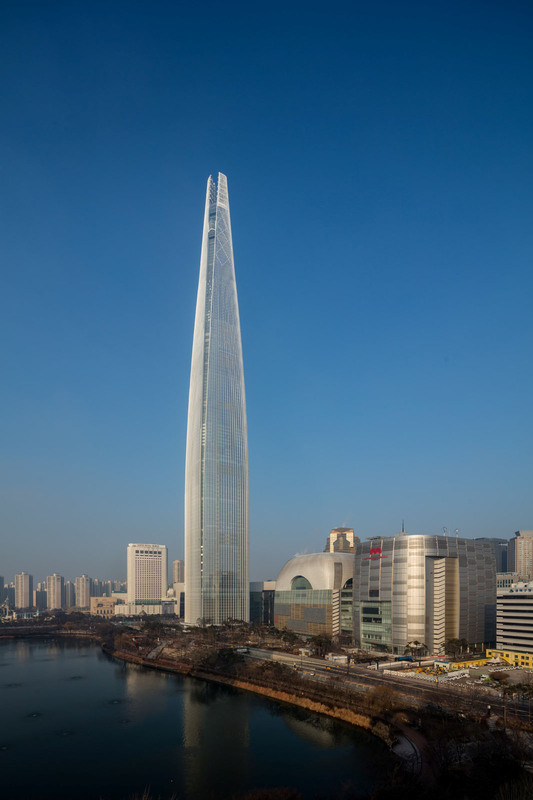 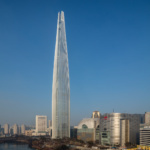 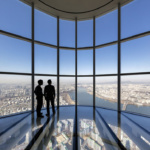 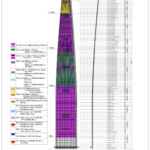 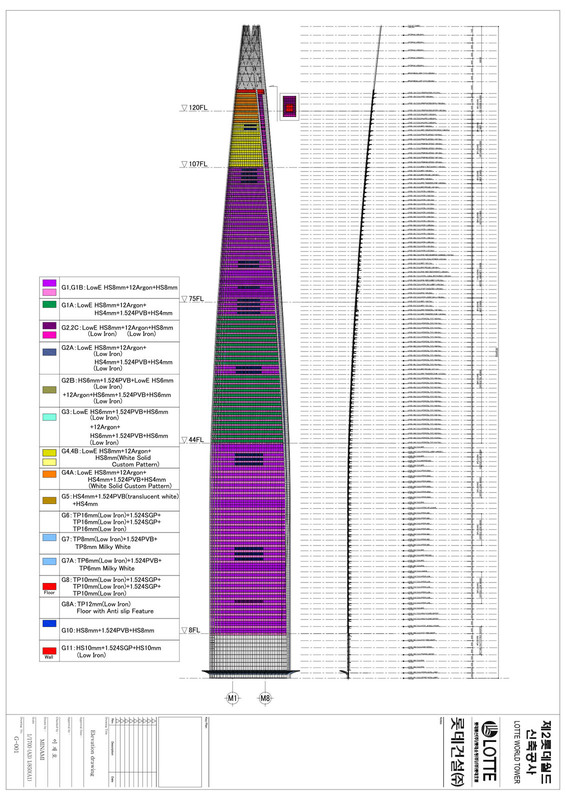 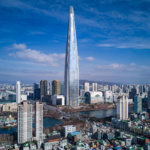 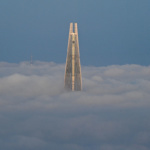 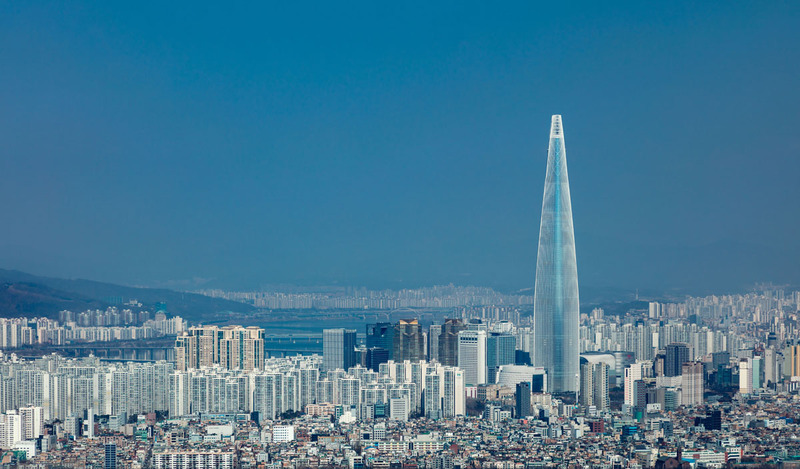 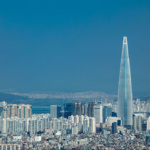 While the world’s fifth-tallest building includes a number of innovative energy-saving strategies, for many visitors the tower’s crowning achievement is the glass-floored observation deck—the world’s tallest. 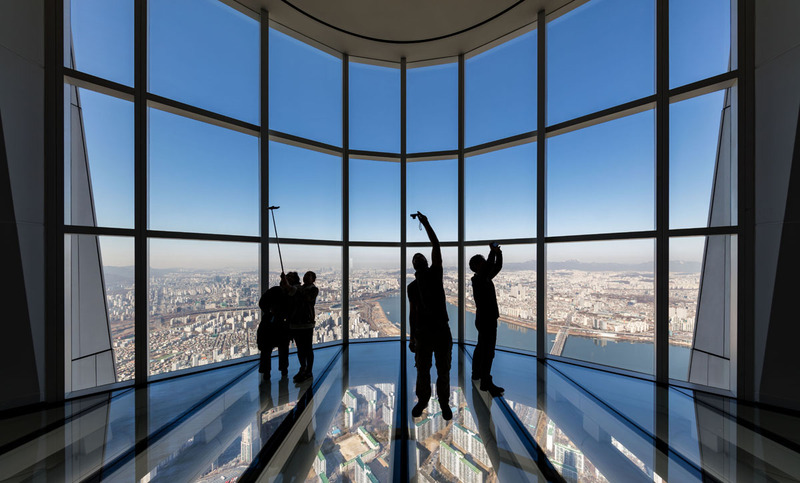 Cantilevering out, it offers views some 1,600 feet down—with just three layers of 10-millimeter-thick tempered glass with SentryGlas Plus interlayers separating viewers from the ground.